Access Our Free 30A Vacation Guide Now! At the heart of Backwater Tours is “The Teche,” a 26’ 6” shallow-draft boat that offers a smooth, quiet ride. This 225 Mercury Verado-powered vessel provides plenty of space for your whole crew (of up to eight people)! No matter what kind of excursion you choose, you’ll gain unique insight to the historic Choctawhatchee Bay and River Basin and see stunning scenery that you won’t soon forget. Passengers also love Captain Andy Coleman, who always provides a fun and personalized tour experience aboard “The Teche.” This colorful character knows the ins and outs of every bay, river, and swamp in the 30A area. He also knows all about Florida Panhandle history, so you’ll learn plenty along the way! Whether your group is looking for an active adventure or a relaxing float through paradise, Backwater Tours offers a variety of boat trips that you’re sure to love. For every tour, Captain Andy keeps two paddleboards, light snacks, and bottled water on deck. You’re encouraged to bring a small cooler filled with beverages or additional food items! Just be sure to avoid glass if you choose to bring alcohol (a bottle of wine is the only exception). Here are a few of the different tours to choose from! For just $395 each, Captain Andy’s Sunrise and Sunset Tours are crowd favorites. If you go in the morning, you’ll catch a glimpse of the mild morning rays rising over the water and dolphins feeding before the rest of the world wakes up. A Sunset Tour offers a beautiful and romantic solar spectacle that ends the day on a perfect note! Both of these tours are two hours long. For those seeking more time out on the water, a Backwater Eco-Tour is an exceptional choice! Join Captain Andy for a 4-hour guided cruise through 30A’s river system that comprises the Choctawhatchee River Basin. On this excursion, passengers get to experience wildlife encounters, clear-water springs, and panoramic views of nature at its finest! This is a family-friendly tour, too, so bring the kids! Looking for an entire boat day? Look no further than Backwater’s 6-hour Spring Run! One of 30A’s best-kept secrets is its collection of clear-water springs that showcase a special kind of beauty. These off-the-beaten-path spots are what inspired Captain Andy to start Backwater Tours! If none of these trips sound like the perfect boat day you envision, feel free to propose a custom trip to Captain Andy and his crew! Simply contact Backwater Tours and include your notes in the reservation. Come Back to a Private Beach House After a Day of Exploration! After a day out in the sun and salty air, come back to the comfort and luxury of a spacious, beachfront home! Select a Your Friend at the Beach condo in Adagio, San Remo, or Villa Coyaba and relax knowing you’re just steps away from the shoreline. Our Adagio condos are just minutes away from the Backwater Tours office! All of our properties come with complimentary amenities like Keurigs (so you can have your favorite flavor as you watch the sunrise! ), cookware, hot tubs, pools, lounge chairs, and so much more. Whether you’re searching for a Blue Mountain beach boat excursion, equipment to take on 30A’s bike trails, or kayak rentals for your 30A coastal dune lake adventure, we can help you arrange almost any adventure! In addition to luxurious condos and complimentary perks, our team offers an extensive concierge service! Leave the planning to us and we’ll make sure your trip is as stress-free as possible. 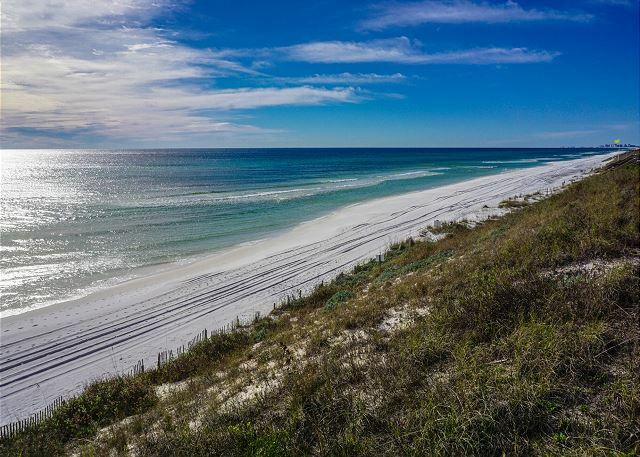 Ready for the ultimate fresh-air experience along Florida’s Emerald Coast? 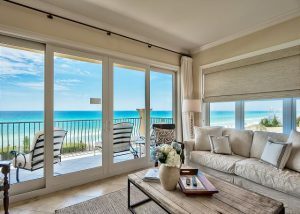 Check our availability today and start planning your trip to 30A! The Best Reasons to Spend Winter on 30A This Year — Adventure Awaits on the Timpoochee Trail!